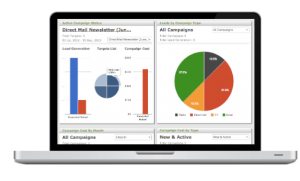 Keep track of the progress and lead generation of your marketing campaigns, from weekly email newsletters to SMS campaigns and radio ads. Not sure what campaigns work best for your company? 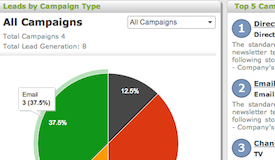 See your top five campaigns, based on real-time lead generation.